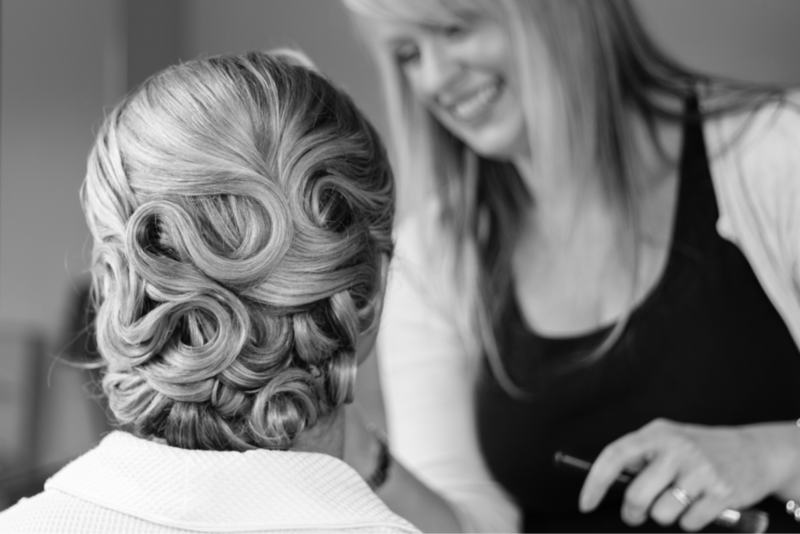 Weddings and special occasion hair and makeup is where we excel. Call or email me to discuss your vision and we will do our very best to make it a reality. Hair ups start at $120 - this includes blow wave and/or curl preparation; pinned and styled half up, all up, accessories/flowers pinned, veil placement etc. Most styles are completed at this price. The price of more intricate or competition hairstyles may vary. Clip in hair pieces can be hired or purchased if necessary. We recommend hair extensions by Catwalk Hair Extensions.. Makeup starts at $80 - False lashes are an additional $5 per person and are Ardell individual flare lashes in short, medium or long; or strip lashes in Demi-Wispies. Prices are the same for the Bride, the Bridesmaids and all trials. Blow waves (short hair) start at $45. Flower girls and Junior Bridesmaids can also be catered for. Prices for travel is subject to location, distance, etc and a quote can be prepared upon request. A non-refundable deposit of $50 is required to secure your wedding booking and can be done via direct deposit. ​Additional costs may apply for Sundays or Public Holidays.